The civil society (CS) representatives to the Senior Officials’ Meeting of the Colombo Process Countries welcome and congratulate Sri Lanka for framing a proactive strategic plan for the next two years for the Colombo Process. The representatives believe that such a visionary plan will provide much needed momentum to the Process. 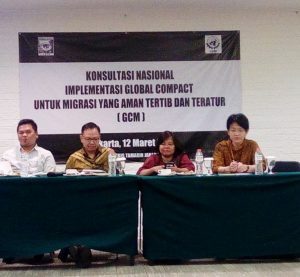 The CSOs of the CP countries have long advocated for a unified Standard Employment Contract (SEC) for migrant domestic workers and fully support the substantive progress that has been made by the member states in this regard. The CS representatives welcome the draft SEC. They believe that implementation of SEC will go a long way in safeguarding the rights and interests of the migrant domestic workers in the countries of destination (COD). The CS representatives urge the CP to bring it to the Abu Dhabi Dialogue (ADD) meeting on the 22nd of May 2014. CSOs commit to continue to advocate for the unified SEC and for the incorporation of Domestic Work in the labour legislation. CS representatives also recognized the need for CP countries to share their experiences in their efforts at regulating the deployment of migrant domestic workers in terms of assessing the impact and effectiveness of the same in relation to protection of rights as the ultimate objective. 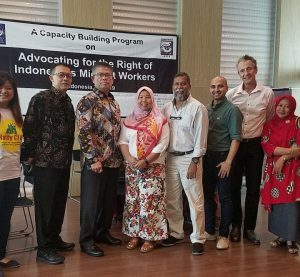 The CP could be instrumental in promoting common protection mechanisms to protect best migrant domestic workers in the entire migration process. The CS representatives appreciate the member states’ concern about the recruitment process. In this context they urge CP states to take into cognizance the ground reality and develop policies that do not compromise the human security of migrants. The CS representatives strongly feel that the problems of recruitment are not restricted to the countries of the origin (COO) only. The presence of intermediaries and their activities, particularly that of visa trading, in the COD have led to massive increase in migration cost in recent years. In this context the CS representatives urge the CP member states to take up the issue of visa trading and kafala system in the upcoming meeting of senior officials of the Abu Dhabi Dialogue process. In the deliberations of the parallel session with CSO on the 7th of May it was recommended that the role of country of origin missions needs to be strengthened in terms of capacities of mission staff and the resources made available to the missions in executing their duties effectively for the protection of the rights of their nationals. The CS representatives welcome the idea of an independent Secretariat for the Colombo Process. The representatives believe that such an initiative will play a vital role in member countries ownership of the process and in maintaining continuity and in implementing CP decisions together with all stakeholders including migrants and their families. The CS representatives look forward to more discussions on this issue. The CS representatives urge the CP member states to proactively engage with the ADD countries in a more coordinated and strategic way. As about 90 percent of the migrant workers of the Gulf states originated from CP countries thus a collective stand on common issues of migrant workers can substantially facilitate convergence with COD in the ADD. The CS representatives further feel that there is a good case for CP to interface with the regional inter-governmental ASEAN and the SAARC processes. This is imperative given the fact that increasingly some of these countries have become either destinations or transit states for movement to third countries.